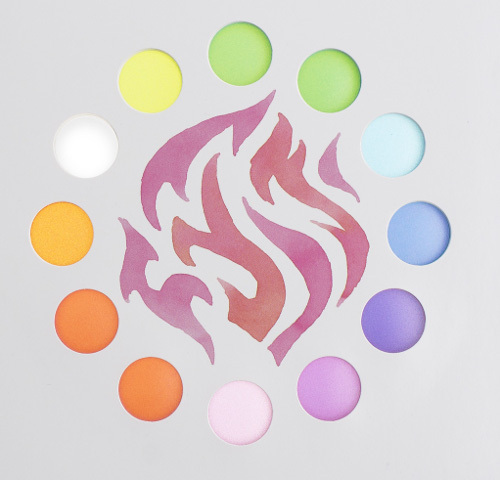 At Kirkus several weeks ago, I wrote about a small handful of new board books I love, and one of them was Aaron Becker’s You Are Light (Candlewick). It will be on shelves at the end of this month. Here is that Kirkus column, if you’d like to read more about the book. Today, Aaron visits to talk a bit about creating this book and to share some process images (as well as a bit of final art). I thank him for sharing. 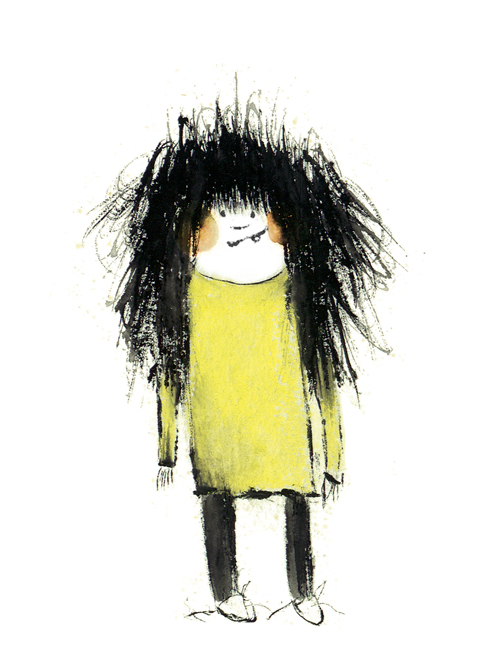 Over at Kirkus today, I’ve got Sharing 101 (and two brand-new picture books) on the mind. Last week, I wrote here about Cindy Derby’s How to Walk an Ant (Roaring Brook, March 2019). I’m following up here today with some final art from the book, and Cindy has also sent lots of process images — character sketches, book dummy images, etc. I thank her for sharing. 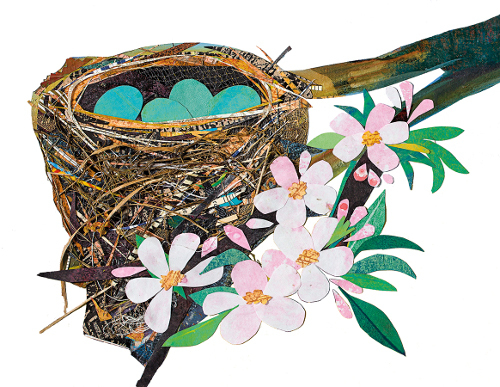 Over at BookPage, I’ve a review of Christian Robinson’s Another (Simon & Schuster, March 2019), which is such a superb picture book. That review is here. Here at 7-Imp today, Christian shares some preliminary images (sketches, character exploration, images of studio work, book design, etc. ), as well as some final art from the book. I thank him for sharing. 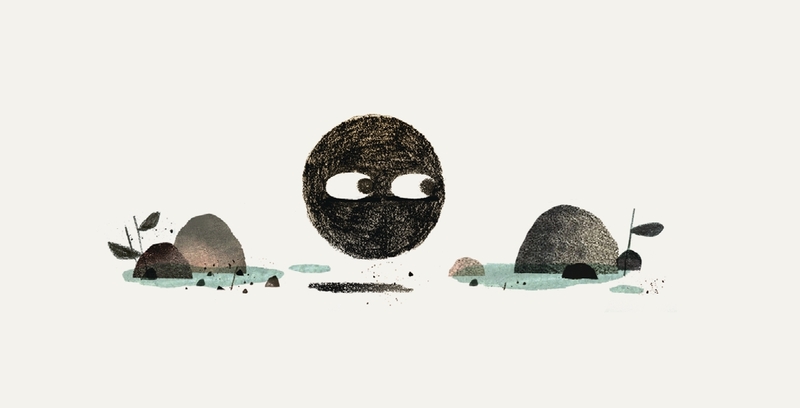 Over at Tennessee’s Chapter 16, I’ve got a Q&A with author Mac Barnett, who returns to Nashville next week (Parnassus Books) to talk about Circle, the latest book in the Shape trilogy. The Q&A — and more details on his bookstore visit — is here. 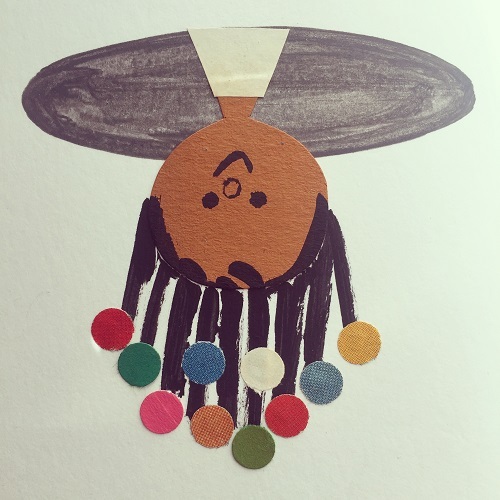 If you visit Taia Morley’s site, you’ll see she’s hardly new to children’s books (and that she has also previously worked as a toy and game designer). 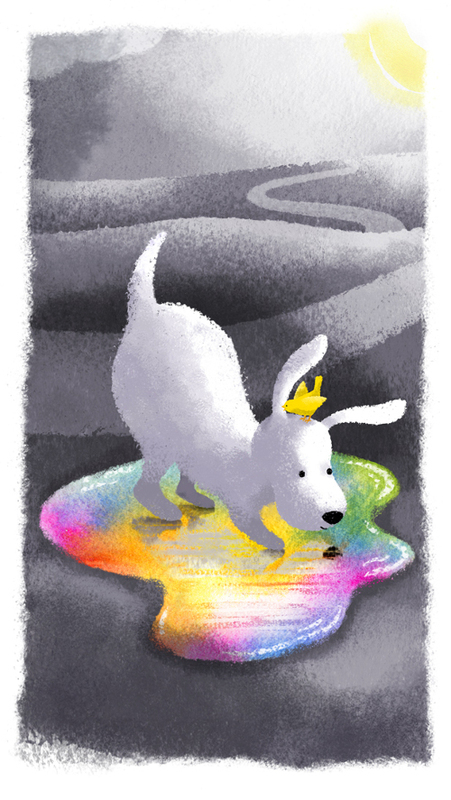 But Wake Up, Color Pup (Random House, March 2019), which she’s here to talk about today, is her first book as both author and illustrator. ” … She burps pebbles, Henry thought. Over at Kirkus today, I write about Cindy Derby’s picture book debut. 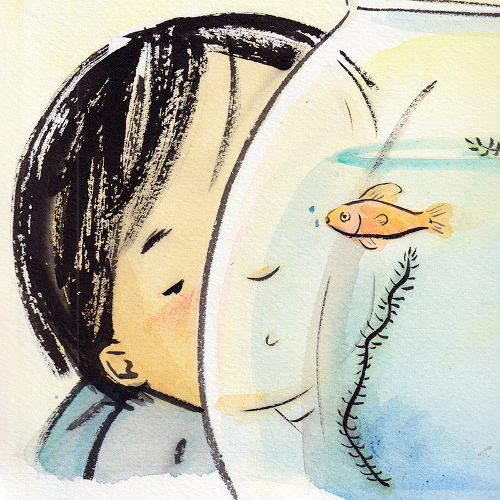 Last week, I wrote here about Jenn Bailey’s A Friend for Henry (Chronicle, February 2019), illustrated by Mika Song. I’m following up today with some preliminary images and final art from Mika. The art for this book was rendered in pencil, watercolor, and Sumi ink on watercolor paper. I thank Mika for sharing. 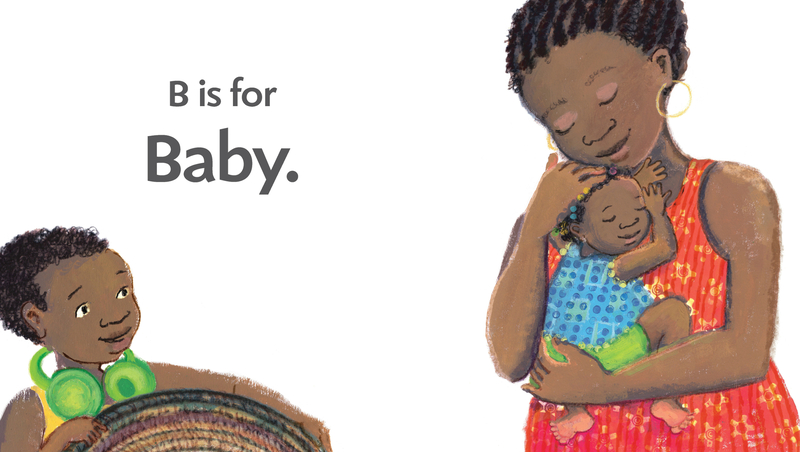 Here’s a quick post to share some spreads from storyteller and author Atinuke’s newest children’s book, B is for Baby (Candlewick, March 2019), illustrated by Angela Brooksbank. 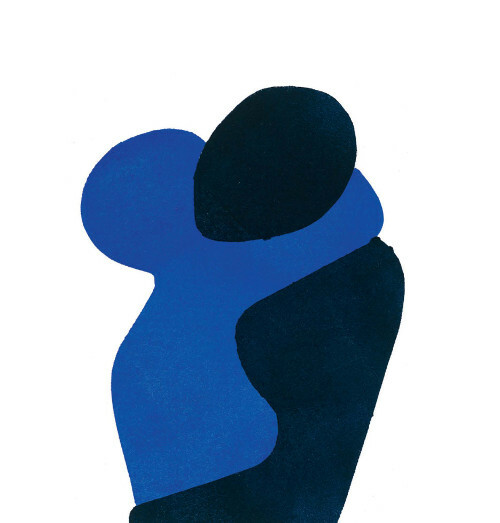 The title may hint at an alphabet book, but this one is focused on one letter only: the letter b. Up for some poetry? And math? And science? Over at BookPage, I’ve a review of Laura Purdie Salas’s Snowman – Cold = Puddle: Spring Equations (Charlesbridge, February 2019), illustrated by Micha Archer. I love this playful book, and it makes me want to snap my fingers and be in a school library again so that I can share it with both students and teachers. That review is here if you’d like to read more about the book, and here at 7-Imp today I’ve some of Archer’s art from the book. Over at Kirkus today, I’m highlighting a new picture book about an autistic boy navigating social dynamics in a classroom — Jenn Bailey’s A Friend for Henry, illustrated by Mika Song. Today at 7-Imp is some art from Janik Coat’s Aleph (Gecko, March 2019), which I wrote about here last week, along with some other new board books. I’m doing something a little bit different today. When I saw the announcement this week of this year’s Children’s Book Week poster, I knew I wanted to be sure to share it here at 7-Imp, for those of you who haven’t seen it yet. 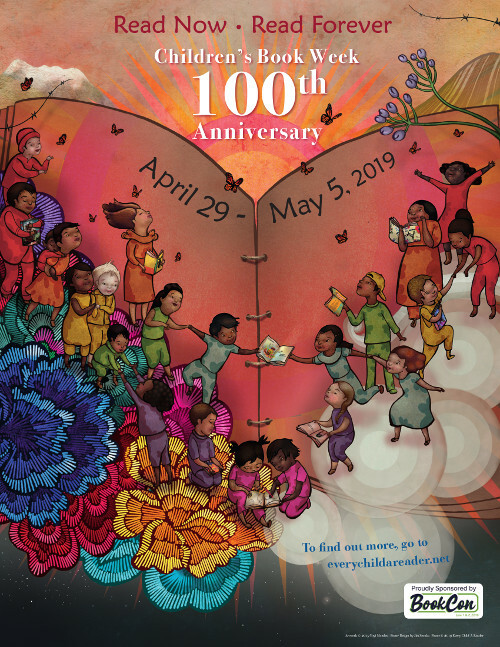 Illustrated by Yuyi Morales, it celebrates the centennial celebration of Children’s Book Week. Children’s Book Week, established in 1919 and administered by the Children’s Book Council and Every Child a Reader, is an annual celebration of books for young people and the joy of reading. You can read more about it (and the poster) here. And then head to everychildareader.net (where you can, if you’re so inclined, download your own hi-res version of this poster).